I haven’t really been up to anything exciting lately so I haven’t had much to post about. Lots went on this past weekend though. 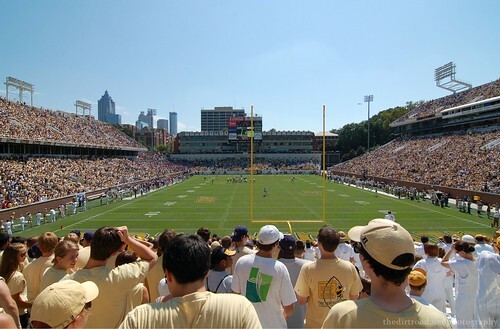 Saturday, I headed down to Georgia Tech for the Tech vs. Mississippi State game. The weather was just about perfect for football. Maybe a little bit warm but I won’t complain at all. During the tailgate in the morning, there was a touch of autumn in the air and I’m starting to get the first few feelings I get every autumn. I love this time of year. The game was probably one of the best that I’ve seen Tech play in a long time and I had lots of fun with friends in the seats around me. Some of the photos from the game turned out pretty well, too. On Sunday, Adriene and I took the girls for their very first concert. 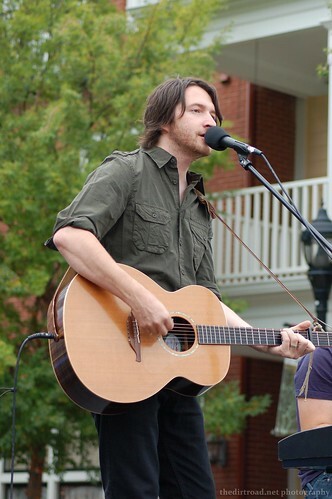 Dave FM was sponsoring a free show by Matthew Perryman Jones at the Smyrna Village. Once again, the weather was beautiful and the early show time made it easy to take two one year-olds. Some of our friends joined us and brought their children also and we made it a fun outdoor picnic event. The show was great. Katie Herzig opened and joined MPJ on a couple of songs. Both of their music is available for free or donation at NoiseTrade. I’m hopeful that there will be some more shows like this during the autumn. There are a couple of upcoming concerts that I’m looking forward to as we start to move out of the hermit stage of raising infant twins. Photos of the show available on Flickr!